Home / Ryal / April Fools? Ryal To Debut A Collared Heritage Boot! It has to be some kind of weird early April Fools joke, right? That was my first thought while looking up the Instagram account of bespoke handmade Italian boot manufacturer Ryal, and discovering that apparently one of my favorite old school craft-boot (like craft-beer but for the boot world) manufacturers have “embraced the collar”. Now it’s been about 3 and a half years (aka: FAR TOO LONG, if you ask a lover of all boots craft such as myself) since Ryal featured in these parts but given the topic at hand, say it ain’t so. Ryal are famous for boots like the Europa (pictured above) and this authors personal favorite boot to look at La Storia. Boots which hearken back to a more simple time; a time when boots were black and leather. A more honest time, where if you took proper care of your boots, there was no telling how long they’d last. 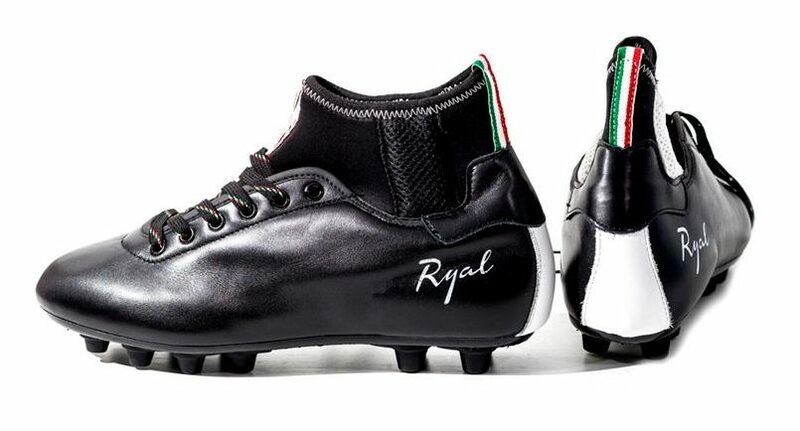 Now, I was still skeptical that this was some kind of ruse from Ryal; I even ventured my way to their corporate site and found listings for a firm ground version and a turf version of a boot they’re calling the Dribbling (and I am still skeptical that this is some kind of ruse). But, moving on what goes into the Ryal Dribbling? 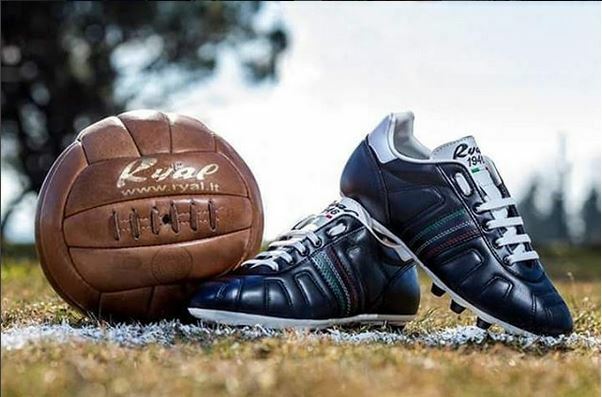 As a boot from a classic manufacturer specifications aren’t all encompassing, but what can be said about the boot is that the upper is a waterproof K-Leather, and Ryal’s leather has a reputation of being top class. This upper is combined with a “neoprene technical sock”, which is split by a fabric insert on either side to ensure that there is the ability to breathe. The fabric insert in the sock is actually vitally important as neoprene doesn’t breathe at all unlike the knitted collars on the offerings of the “big three”. But hey, at least on a wet day your ankles will be dry as a bone because they’ll be in a mini diving suit. And, that in a nutshell is the tech specs on the Dribbling, as it pertains to price according to Ryal’s Instagram reply to the question from a user they’ll retail for €135 (again this is considering they are a real boot and not an elaborate ruse two weeks in the making). 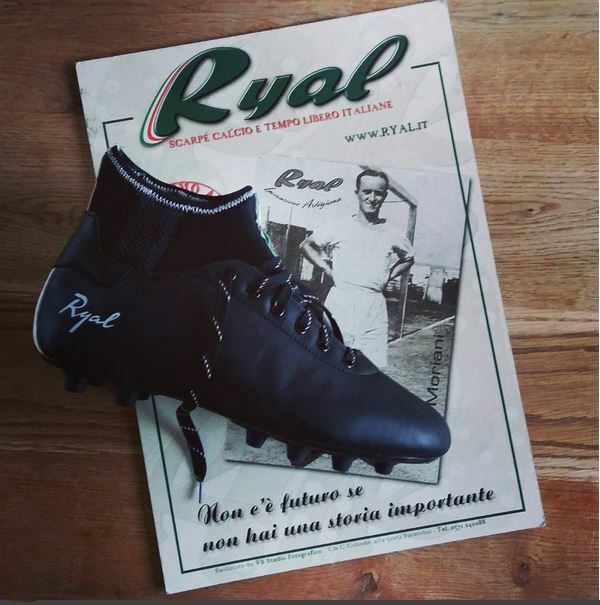 If the Dribbling is a legitimate offering from Ryal, it’s certainly an offering which takes one of the most heritage of hertiage brands in a strange direction and quite frankly unwarranted direction. The kinds of people who look for bespoke hand built craft-boot (I will make that term stick) arguably aren’t the kind of people looking for latest stying fad when it comes to boots. But then again, maybe I’m wrong? It’s possible but I highly doubt it. What’s your take on the Ryal Dribbling? April Fools Hoax? Or an ‘old dog’ trying to learn new tricks?